The human body simply can not withstand the forces of an 80,000 pound fully loaded big rig. As a result, trucking accidents with pedestrians and bicyclists often lead to severe debilitating injuries and death. These catastrophic accidents have the ability to change lives forever ---unfortunately, in the blink of an eye. If a pedestrian or bicyclist is involved in a trucking accident, the injuries sustained will usually be severe and life threatening. Crushing bone fractures, body burns, traumatic brain injuries and spinal cord injuries are just a few of the injuries that can lead to a lifetime of pain and disabilities. In 2008 alone, over 400 pedestrians and bicyclists were killed in trucking accidents across the United States---and an additional 3,000 were injured. According to the Federal Motor Carrier Safety Administration (FMCSA), the majority of pedestrian accidents occur when the pedestrian walks directly into the path of a large truck or vehicle. Since many pedestrians believe they have the “right of way”, they often misjudge how quickly a large truck can actually stop and the results can be devastating. Avoid speeding or driving fast around pedestrians or heavily populated areas. Always scan around the vehicle carefully when pedestrians are present or when backing up in a populated area. Always be certain that pedestrians are stopping to give you the right of way---never assume. Be cautious against improper wide turns in areas where pedestrians are present as improper trailer tracking can cause the truck to venture onto a sidewalk and into an unsuspecting pedestrian or bicyclist. Do proper maintenance checks to ensure your safety mirrors and horn are working properly. Unfortunately, not every truck driver heeds these warnings and they continually put themselves and everyone around them at risk. If you or someone you love was injured or killed in a trucking accident, it is important to contact a Colorado trucking accident attorney immediately. A truck driver has a responsibility to obey all the traffic laws in the state, as well as federal motor carrier regulations. If he failed to do so, or acted negligently, you may be able to file a claim against the truck driver and/or the trucking company. In addition, if the truck driver was driving under the influence of drugs or alcohol, he may be subject to criminal charges as well. To speak with a Denver semi truck accident lawyer about a truck accident injury or loss, please call our office at 303-759-3300 or contact us online. We do not charge a fee to discuss how we can help you meet your needs. 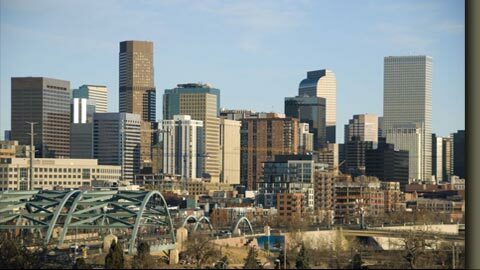 Denver personal injury attorney Saul R. Sarney represents semi truck accident clients facing personal injury and wrongful death lawsuits, and denial of insurance coverage claims throughout the greater Denver metropolitan area and areas north, including the cities of Lakewood, Aurora, Englewood, Littleton, Arvada, Greeley, Morrison, Boulder, and Broomfield, as well as Douglas County, Denver County, Jefferson County, and Arapaho County. We also represent clients in other states including Kansas, Nebraska and New Mexico. 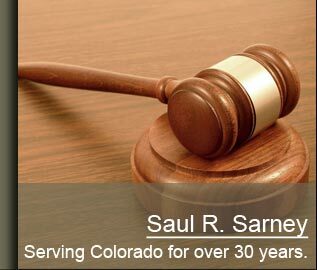 Colorado Personal Injury Attorney Saul R. Saurney serves all of Colorado including the residents of cities such as Denver, Aurora, Brighton, Parker, Littleton, Highlands Ranch, Westminster, Northglenn, Commerce City, Boulder, Ft. Collins, Colorado Springs, Pueblo, Thornton, Arvada, Lakewood, Englewood and Centennial, as well as Arapahoe County, Douglas County, Jefferson County, and Denver County. Choosing an injury attorney is an important decision. Any information you obtain from this website is not legal advice. You should consult an attorney for individual advice regarding your own situation. This lawyer website is Copyright © 2009 by Saul R. Sarney P.C. All rights reserved. You may reproduce materials available at this site for your own personal use and for non-commercial distribution. All copies must include this copyright statement.